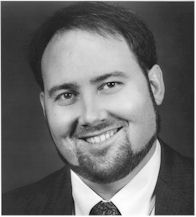 John Mark Baccus, tenor, has sung with opera companies throughout the United States including Opera Theater of St. Louis, Boston Lyric Opera, Opera Company of Boston, Austin Lyric Opera, National Opera Company, Indiana Opera Theater, Manhattan Opera Theater, New Jersey State Repertory Opera, and Bayshore Opera. Some of the roles that he has performed include Don Jose in Carmen, Pinkerton in Madama Butterfly, Hoffmann in Les Contes d’Hoffmann, Mister X in Die Zirkus Prinzessin, and Orpheus in Orpheus in the Underworld. His concert schedule has included performances of the role of "Der Steuermann" in Wagner's Der Fliegende Holländer for The American Wagner Society in New York, and the tenor solos in Mozart's C Major Mass, Mendelssohn's Elijah, Handel's Messiah, Orff’s Carmina Burana, and Britten's Gloriana. Mr. Baccus has sung numerous recitals, including a performance entitled "Gentlemen of Opera" with The Festival of the Atlantic Symphony Orchestra in 1994, which was taped for the New Jersey PBS series, "Close-Up on New Jersey". 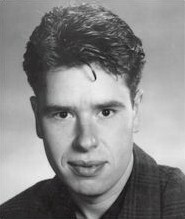 James Creswell, bass, is native to Seattle Washington and a graduate of the Yale University School of Music. He has performed with numerous American opera companies including: Hawaii Opera Theatre, Seattle Opera, Wolf Trap Opera Company, Tacoma Opera, Opera Theatre of Saint Louis, Opera North and sang roles in works including Otello, Falstaff, Iolanta, Die Zauberflöte, Il Viaggio a Reims, and Le Nozze di Figaro. Mr. Creswell’s concert repertoire includes such works as the Dvorak Requiem, Bach Magnificat, Dvorak Stabat Mater, Beethoven Mass in C, Mozart Requiem, Haydn Lord Nelson Mass, and Handel’s Messiah. Mr. Creswell toured North America this past Fall with San Francisco Opera’s Western Opera Theatre, performing the roles of Leporello and Commendatore in Mozart’s Don Giovanni. He will return to the West Coast this Summer to sing the role of Sparafucile in Rigoletto with San Francisco Opera’s Merola Opera Program.